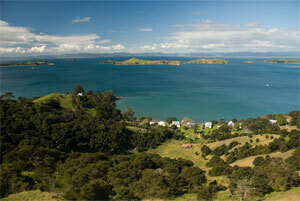 Delegates travelling from overseas may check into the accommodation at Waiheke Island Resort at their leisure. From Auckland Airport there are taxis (~$60), shuttle buses (~$30), and the airport bus (which runs every 15 min $15 single or $22 return). Ask for the Downtown Ferry Building. Ferries to Waiheke run roughly every hour on the hour. Ferry tickets will be provided. To get from the Waiheke Wharf to the Conference Centre there are buses that meet the ferry (destination Palm Beach, ask the driver exactly where to get off for the Waiheke Island Resort), and also taxis and shuttle buses. Delegates travelling from Auckland please catch the 9am ferry departing from pier 2, the Downtown Ferry Building. 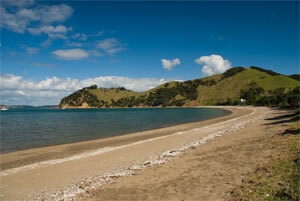 There will be a shuttle bus to meet you at the Waiheke Wharf to take you to the Conference Centre. The morning sessions will start at 9am (with the exception of the later start on Sunday) and will be dedicated to a series of short talks and chaired discussion, with the early afternoon reserved for less formal, break away discussion and interoperability issues. Late afternoons and evenings will be free for further discussion (which you may choose to relocate to the beach!) or for general recreation. Posters will be displayed around the room for the majority of the meeting. The conference dinner will be held at Te Whau Vineyard on the evening of Wednesday 8th April.